Sick of bad credit? Tired of collections? Trying to avoid Bankruptcy? Introducing CreditAdvise by Canada Credit Fix. 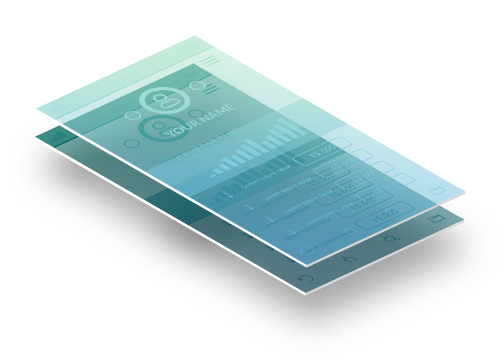 Canada’s only software which allows you to clean your credit report and settle your bad debts! Cease and Desist – Stop the Phone Calls! 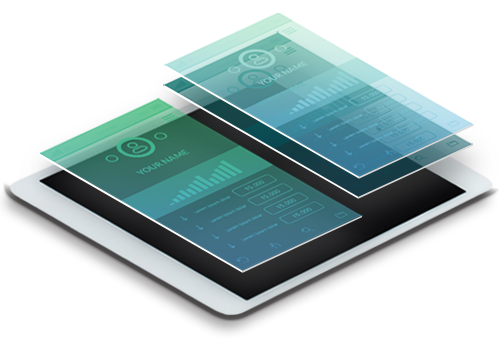 Access and Generate Hundreds of Documents and Forms! Using the right documents and forms is crucial for effective Credit Repair and Debt Settlement. You will now be able to generate the same documents that the professionals at Canada Credit Fix have used for years to successfully help get you the credit that you deserve. Canada Credit Fix has over 20+ years of experience dealing with collectors, creditors, trustees, litigation and most of all reporting agencies. For the first time, we are now opening up our Debt Settlement Dispute Suite to the public and turned it into an easy-to-use App with available full support. Our knowledgeable and aggressive strategies can be the edge you need when disputing the mistakes, errors and wrongful reporting on your Credit Report. And our effective debt settlement experience has helped save Canadians thousands of dollars on their out of control debts. In many cases errors and mistakes caused by creditors can cost you thousands of dollars, cause you to be declined for financing and sometimes even ruin your life financially. CreditAdvise can help you dispute both Equifax and TransUnion credit reports. Understanding your credit situation is almost impossible without your Credit Report. Using the CreditAdvise, you can generate a request letter to receive the FREE credit report which, by law, Equifax and TransUnion must provide to you upon request annually. This is included standard with Your CreditAdvise purchase. Click here to learn more. Errors on Your Credit Report? 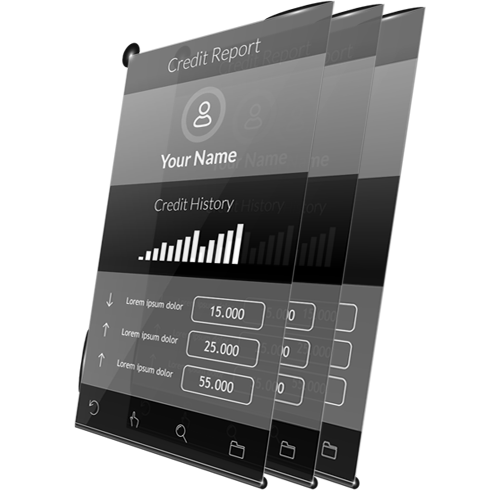 The Credit Repair Suite effortlessly helps you deletes errors, compliance violations, and other wrongful data off of your credit report. This works by generating knowledgeable and aggresive letters from theCredit Experts at Canada Credit Fix. These letters have a proven track record that spans over 20 years. Click here to learn more. Is Your Debt Out of Control? 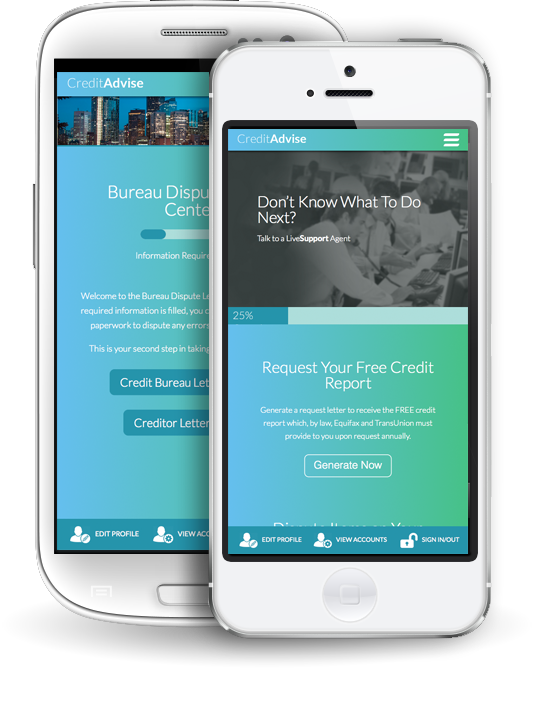 CreditAdvise can help lower your payments or settle your old bad debts. Our debt settlement Suite will help you negotiate those deals with your creditors without paying any fees to a debt settlement agency. Settle deals yourself and lower your monthly payments or even offer a discounted lump sum payout! Click here to learn more. Negative reporting can make applying for new credit almost impossible. CreditAdvise understands that bad credit can happen to good people, which is why we've aligned with Canada's top finance brokers to guarantee you approval for Auto Loans, Credit Cards, and Mortgages. Sick of bad credit? Tired of collections? Trying to avoid Bankruptcy? 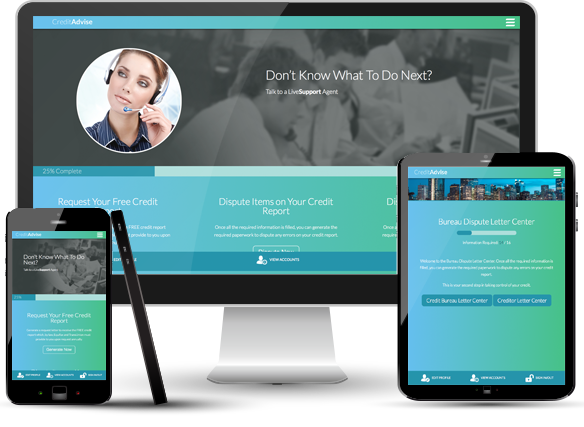 Connect to live Credit Specialist using the CreditAdvise LiveSupport Suite. Our experts know credit and they know your rights. These credit specialist are the most qualified experts from the credit, finance, collection and litigation industries. Our Team is made up of specialists from the credit, finance, collection, and litigation industries. We even hire Ex-Employees of Equifax and Collection Agents! They understand every element of your credit and can help you get the credit you deserve. Using legal dispute measures, various Canadian and Provincial laws and Acts, that have been developed for your protection. We know credit and we know your rights! Please note that our tablet runs on Windows 10 OS and is capable of running Windows apps. Earn 50 AIR MILES® **reward miles per paid customer**® TM Trademarks of AIR MILES International Trading B.V. Used under license by LoyaltyOne, Inc.and Canada Credit Fix Inc.